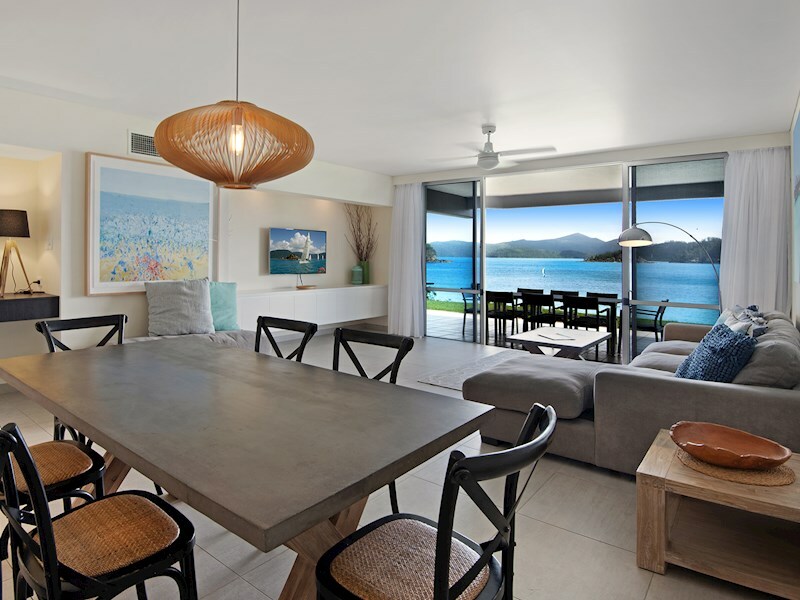 Contemporary designer apartment with water views. 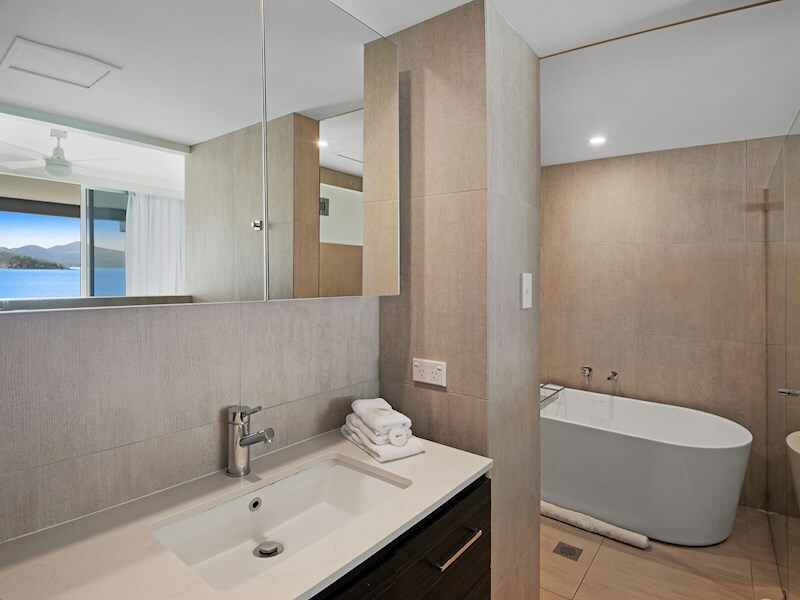 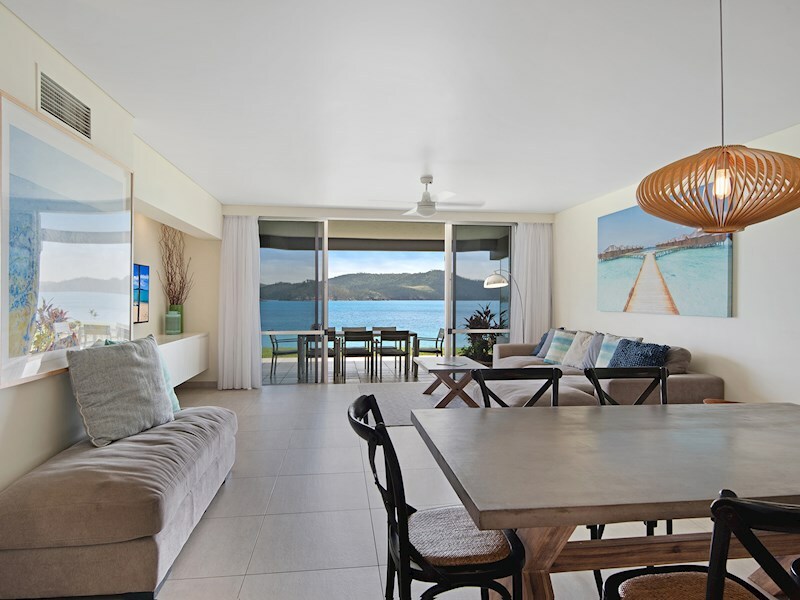 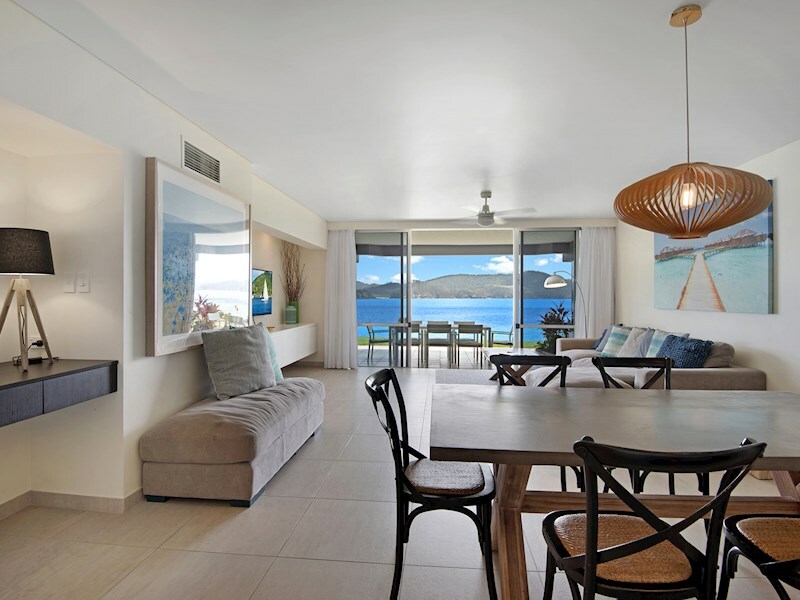 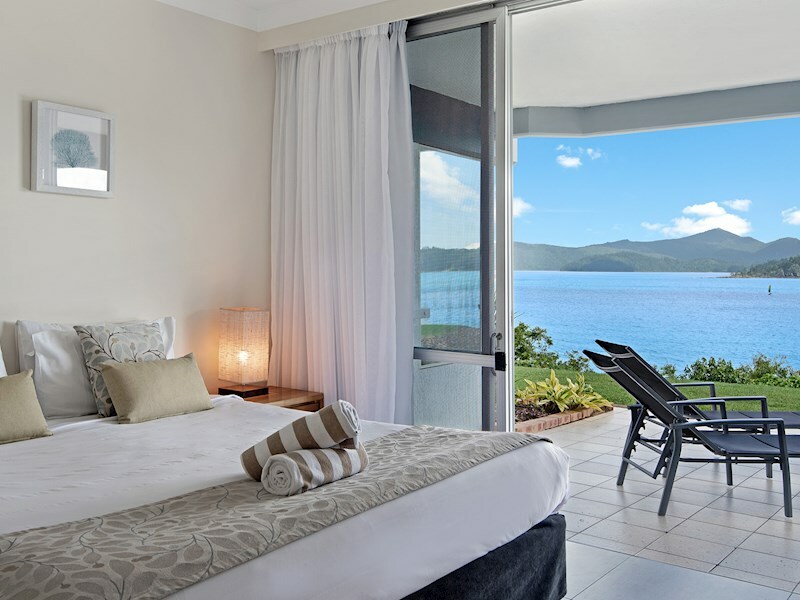 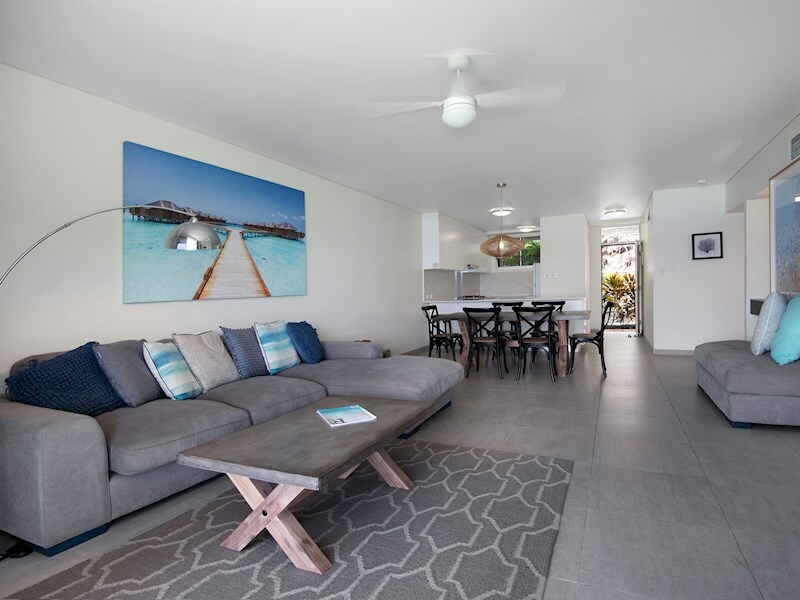 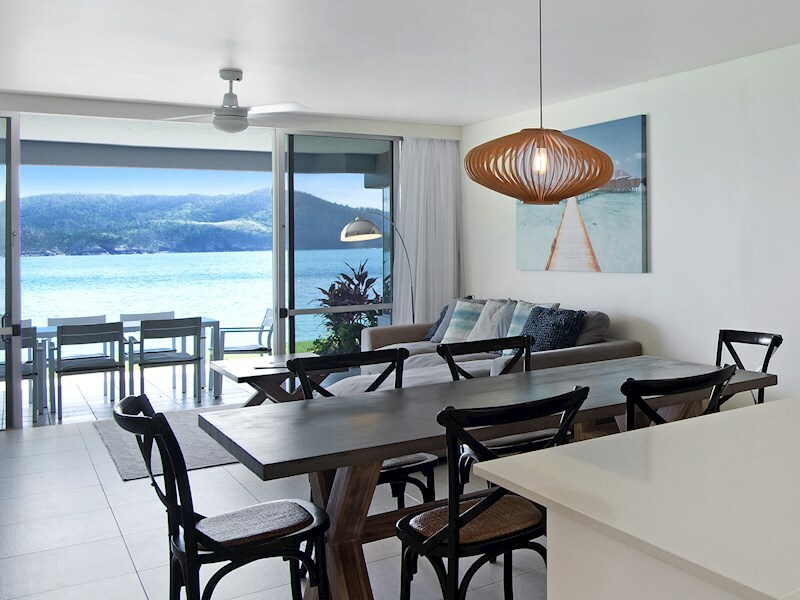 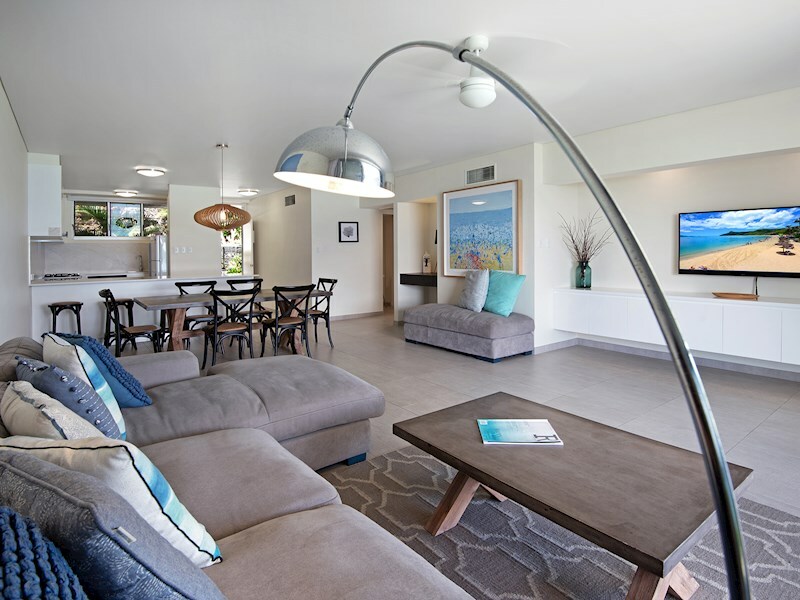 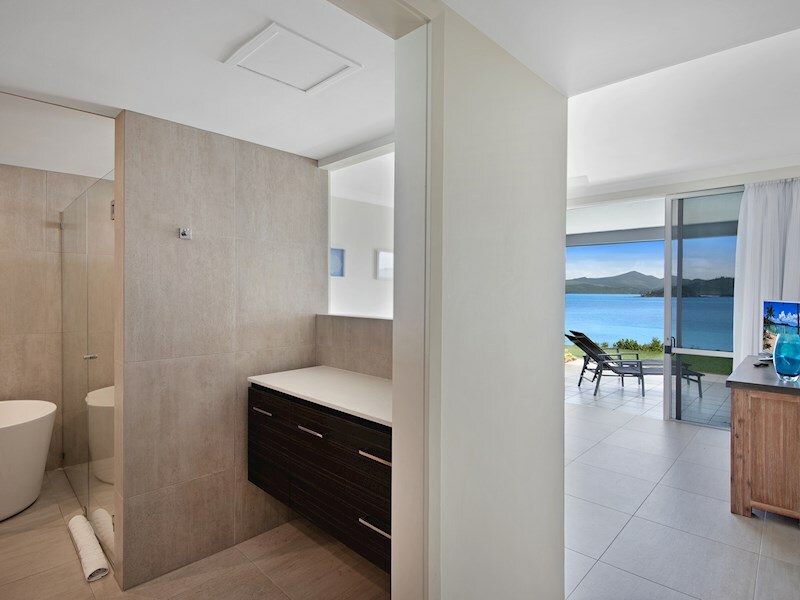 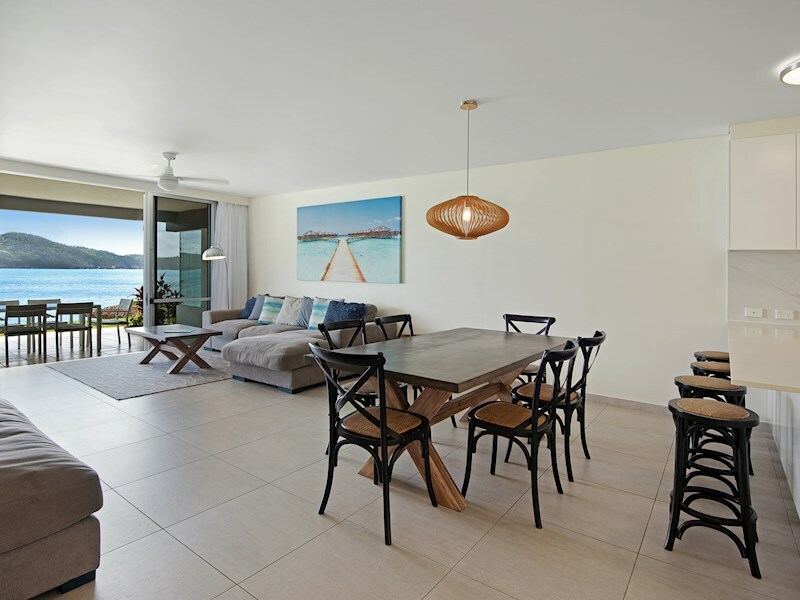 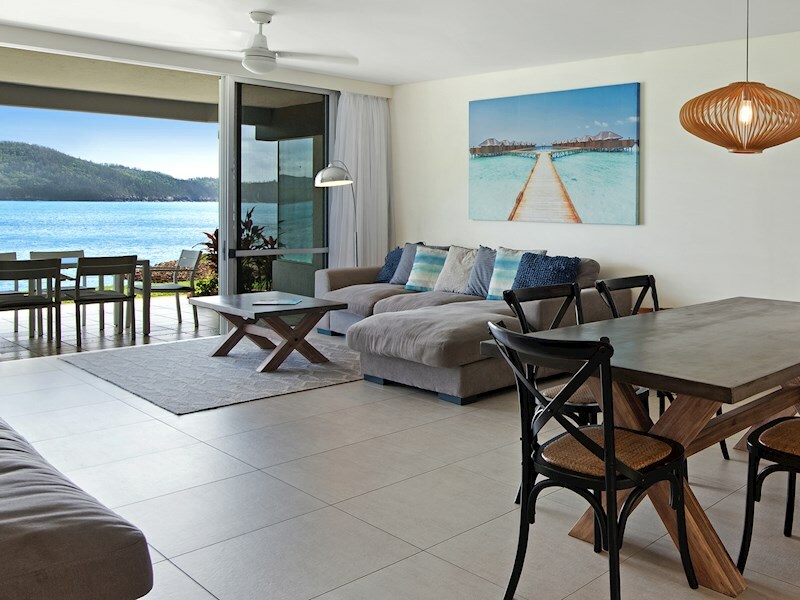 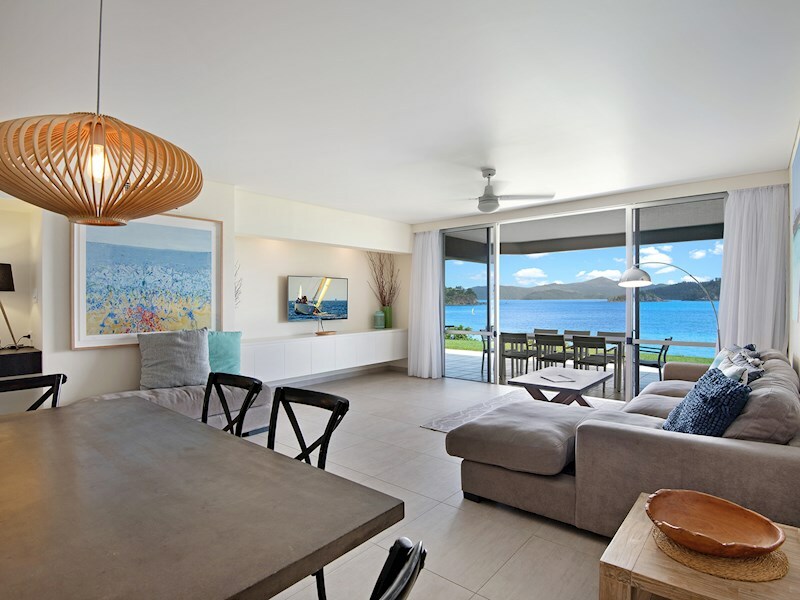 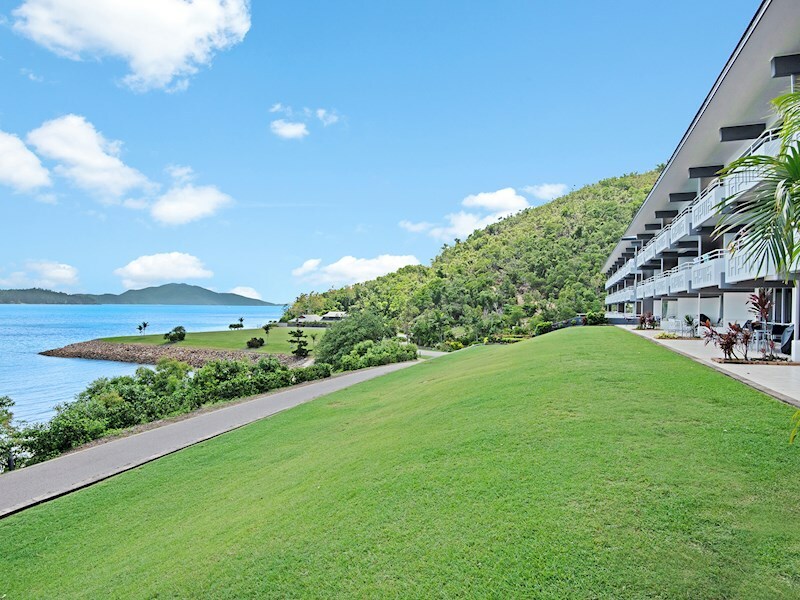 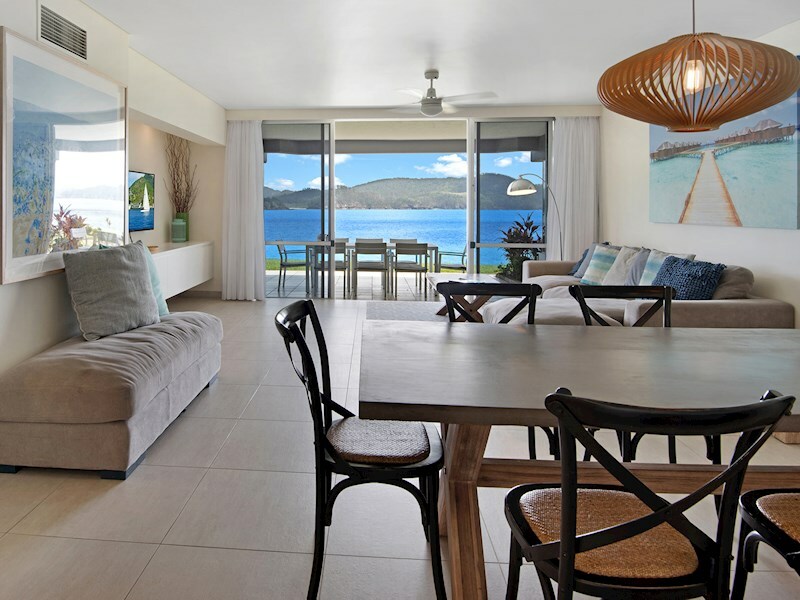 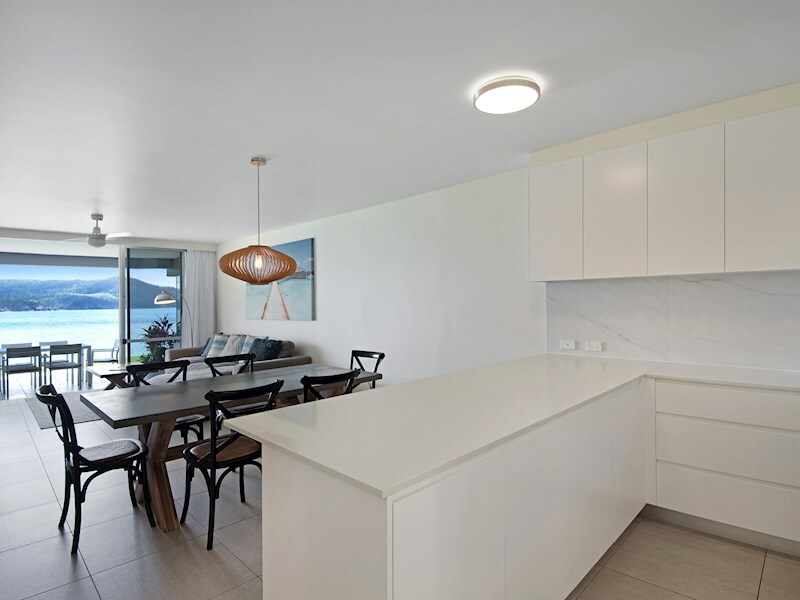 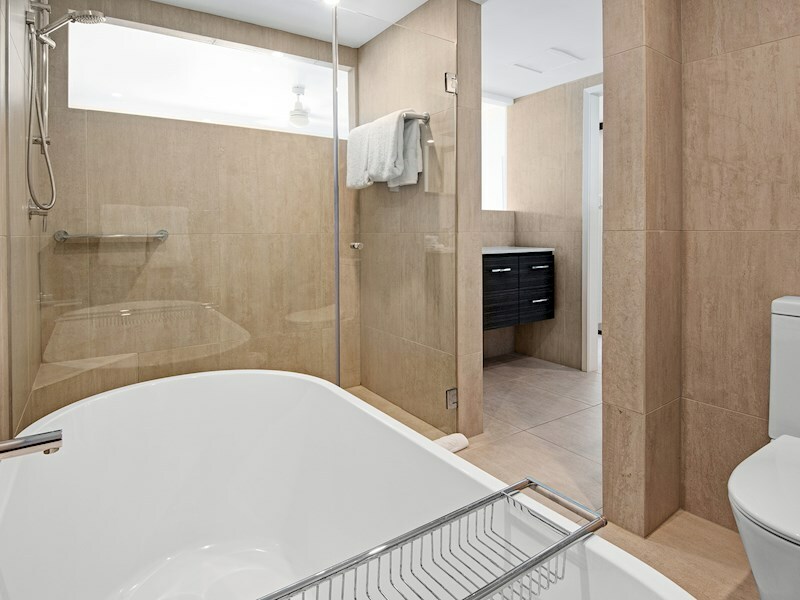 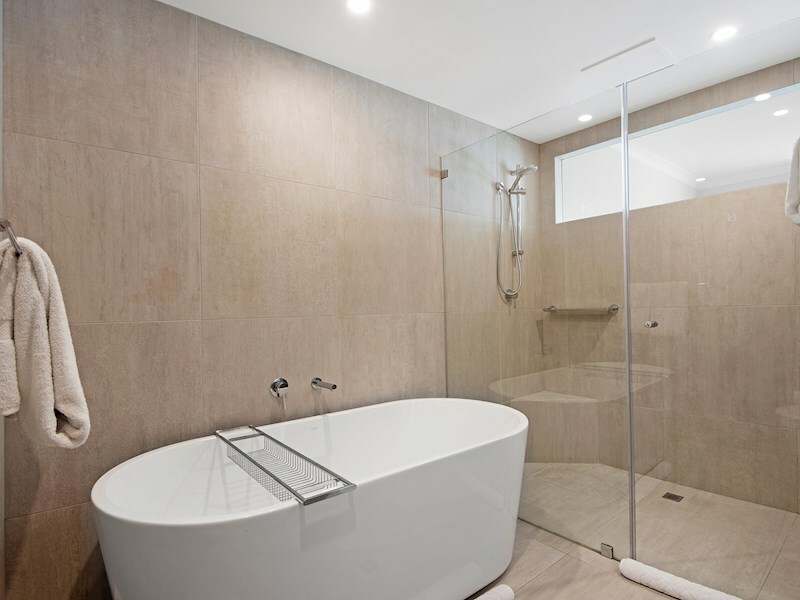 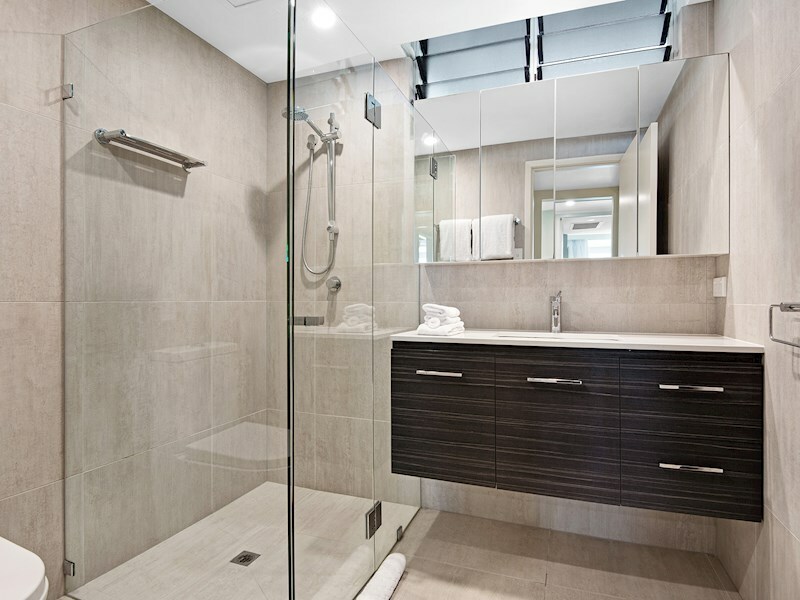 With fresh, modern interiors, this two bedroom designer apartment includes sleek new interiors, a spacious balcony which flows out onto a lovely waterfront grassed area, and an idyllic location on the resort side of Hamilton Island. 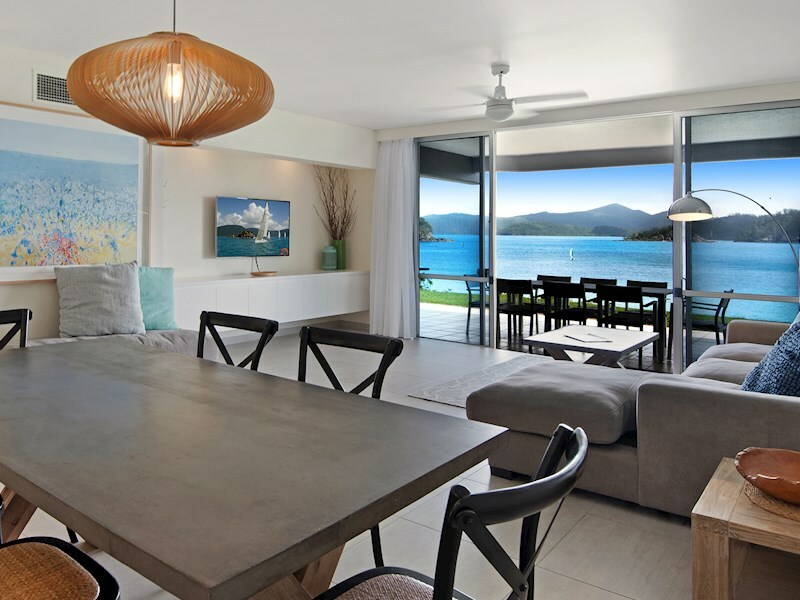 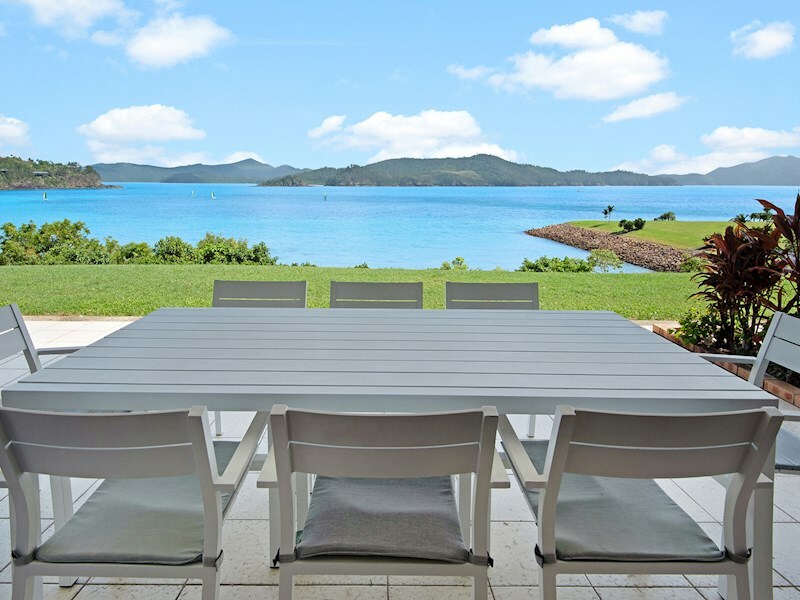 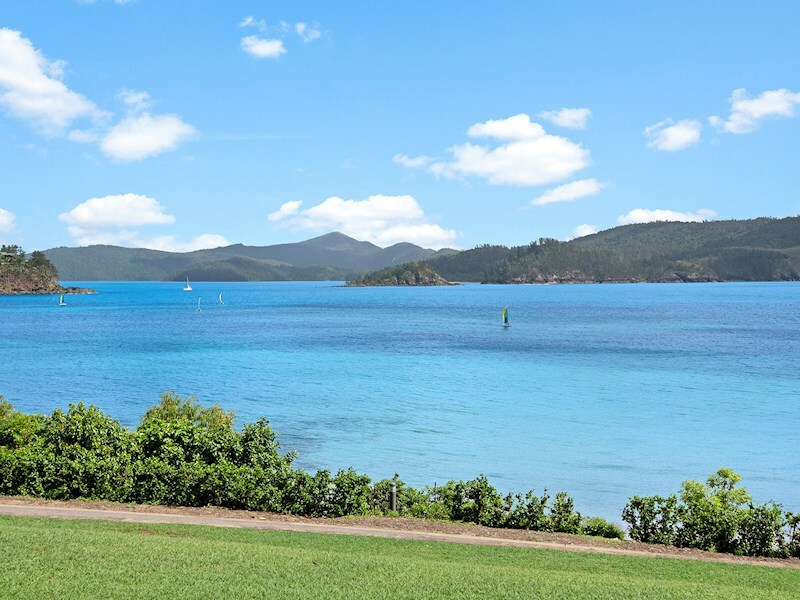 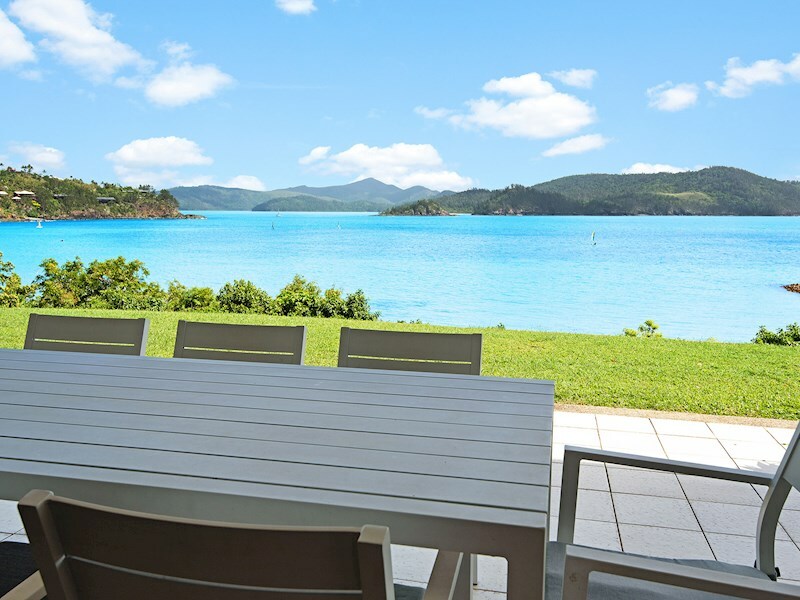 Despite being on the ground floor, this beautiful apartment offers spectacular views over Catseye Beach and Whitsunday Island from almost every angle. 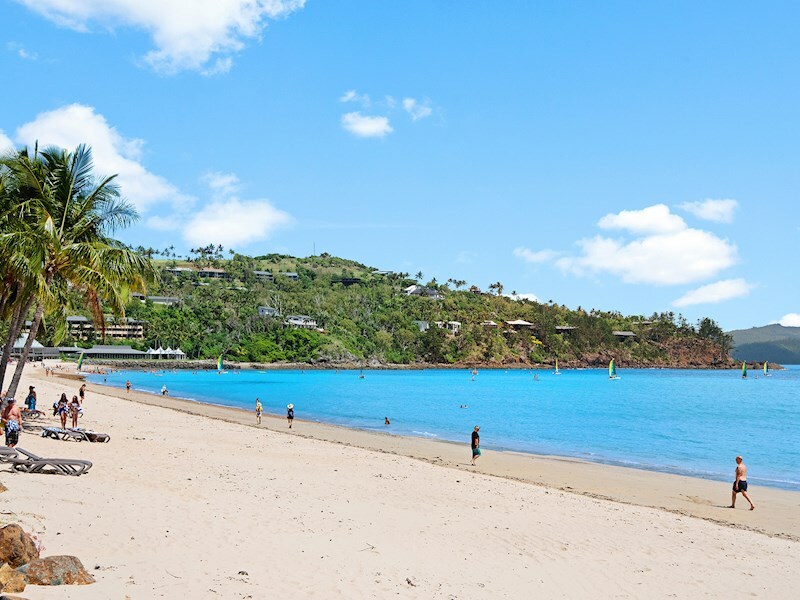 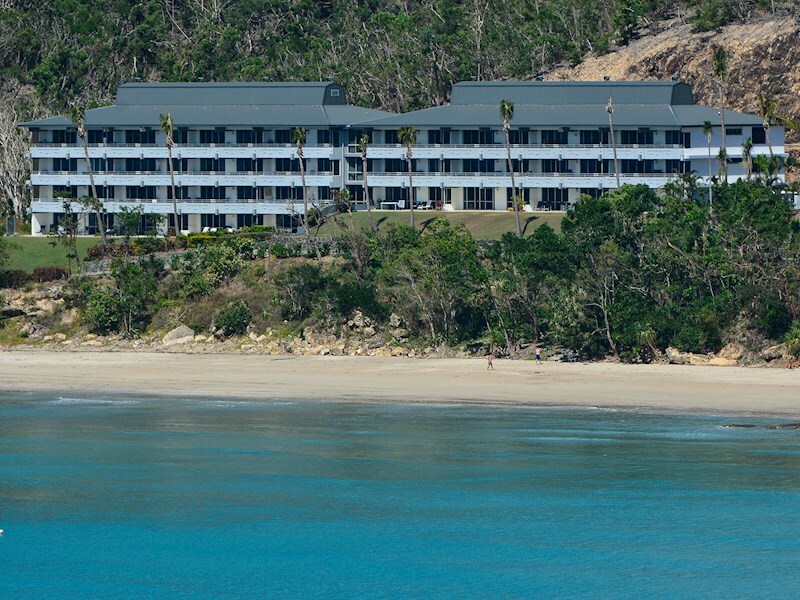 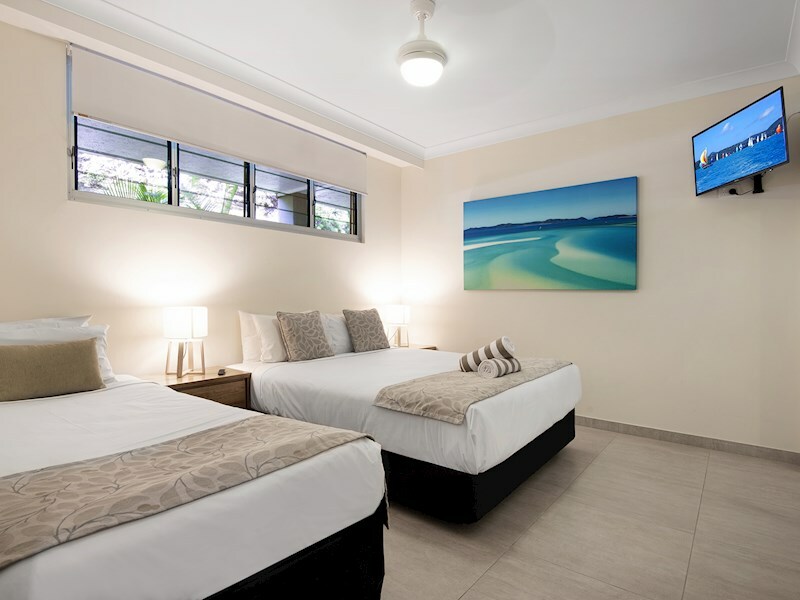 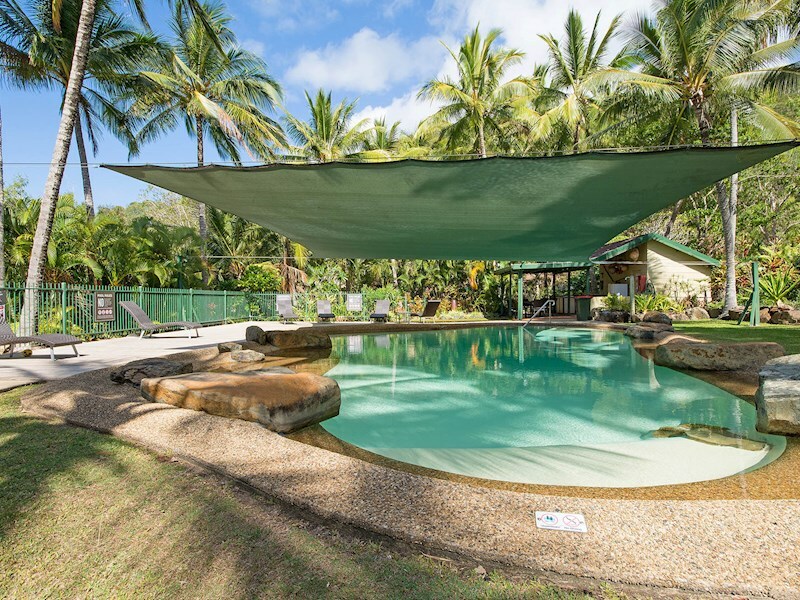 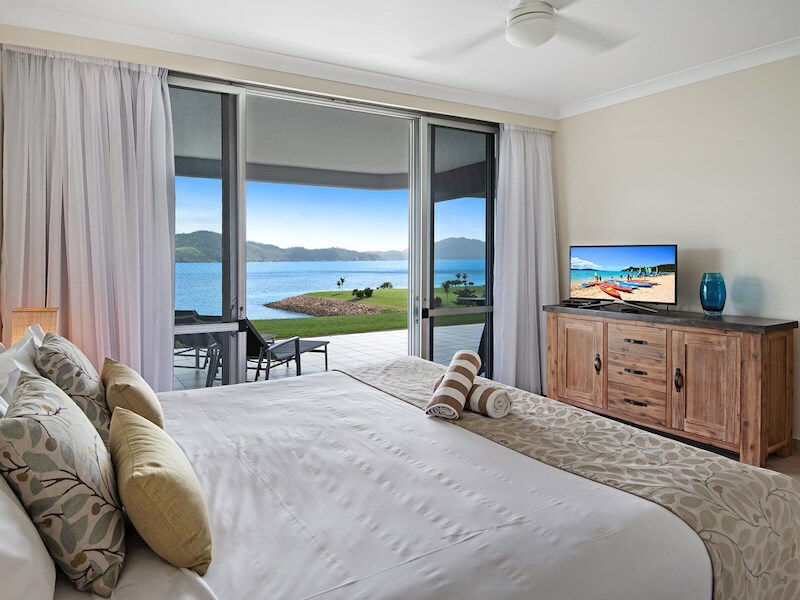 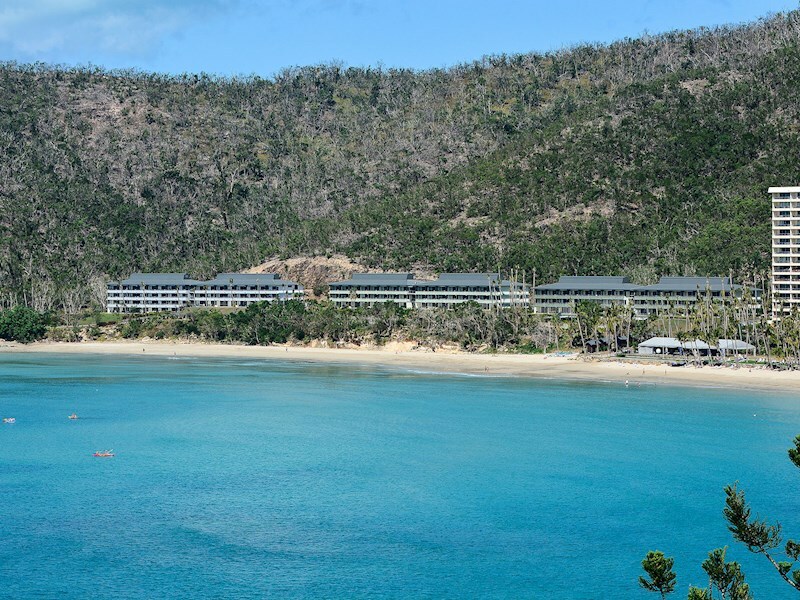 Perfectly located on the resort side of Hamilton Island, near Catseye Beach, the apartment is just a short stroll or buggy ride to all of the island's pools, restaurants and outdoor facilities. 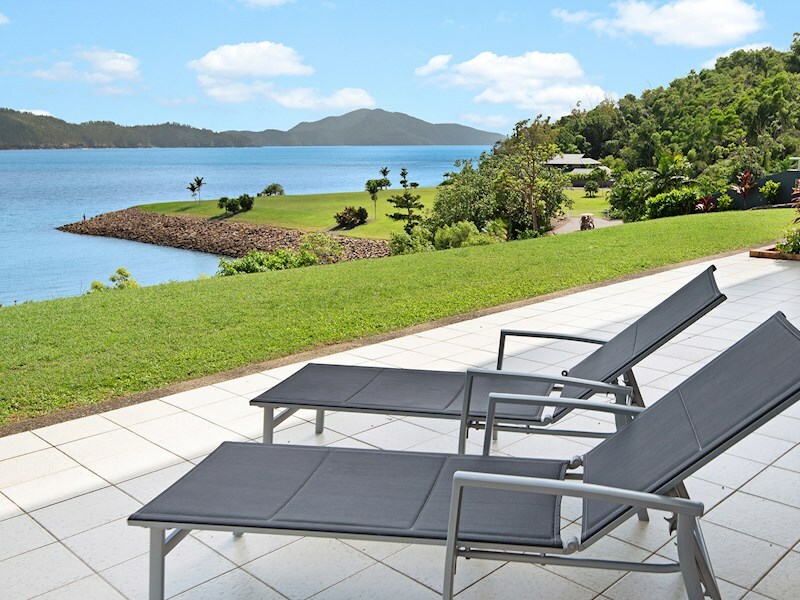 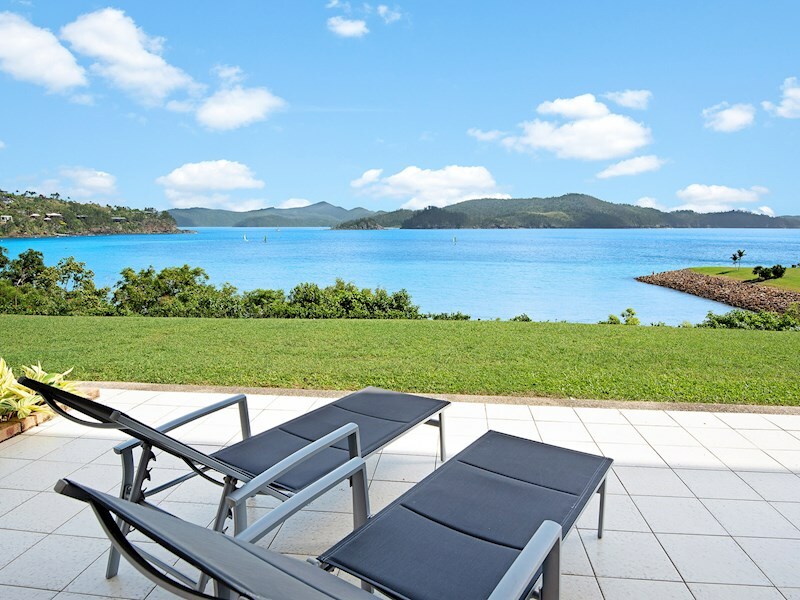 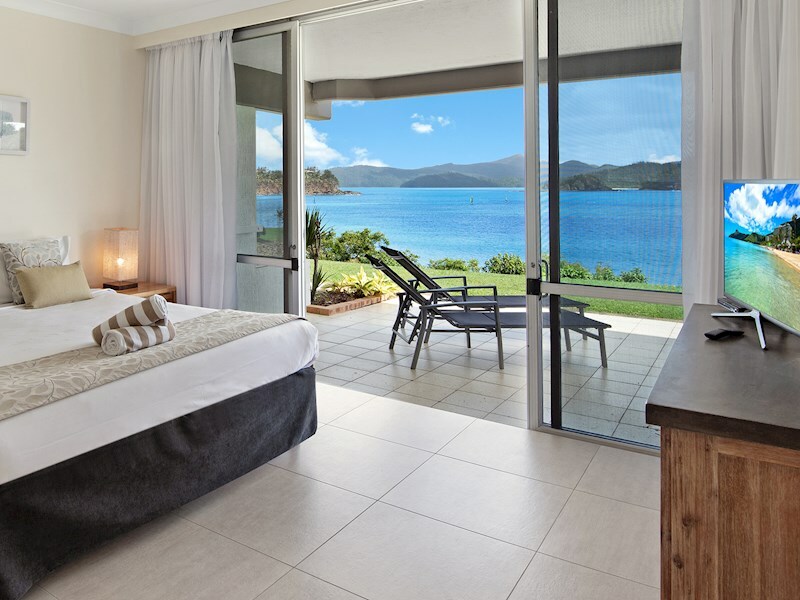 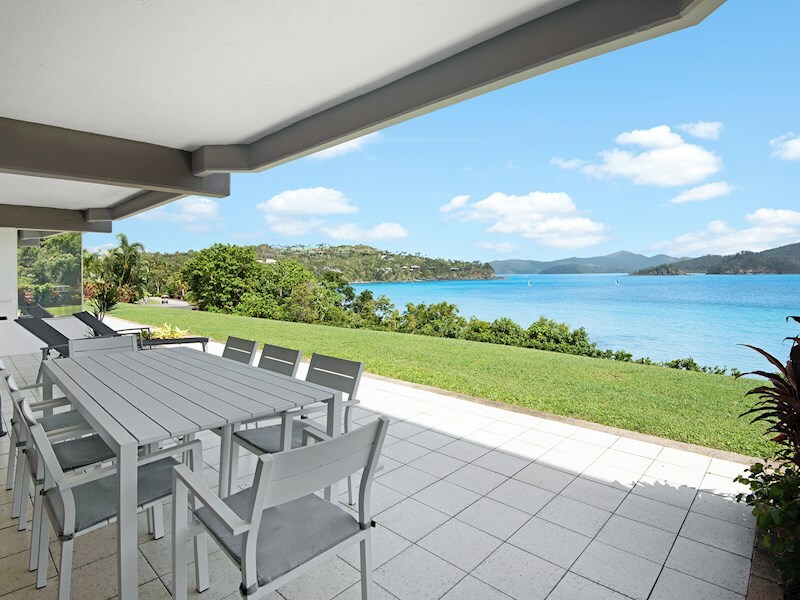 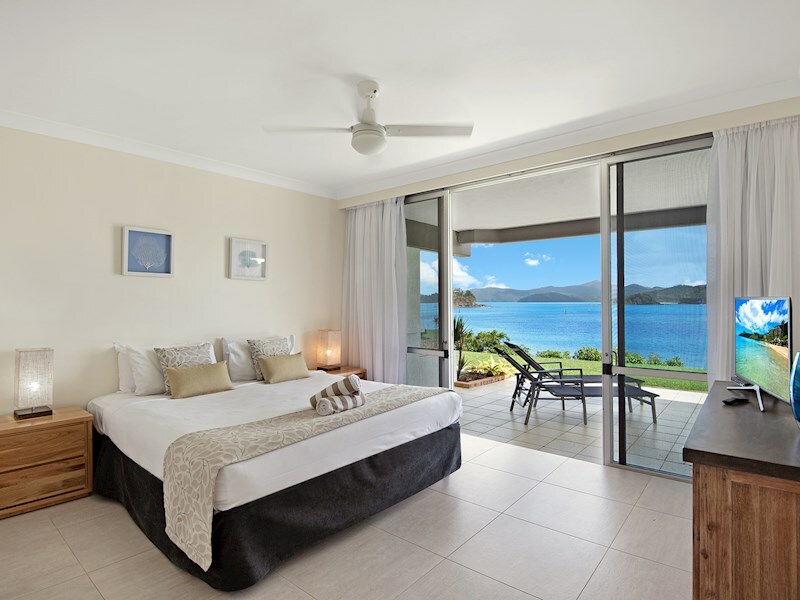 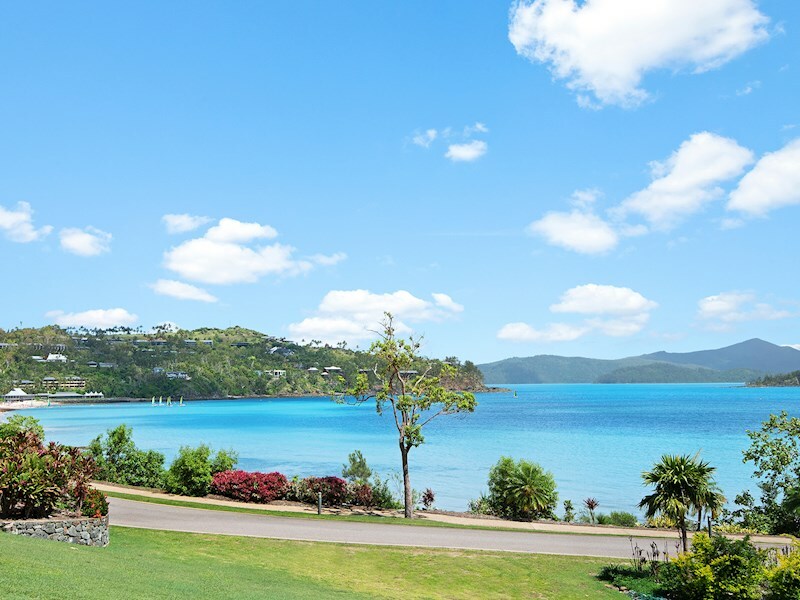 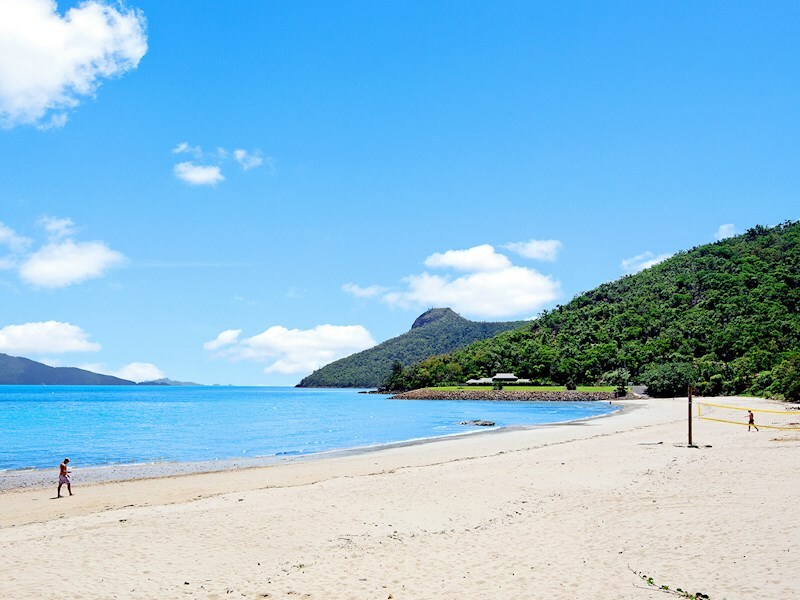 Laze back in your sun lounges and enjoy the view from your private balcony, which flows onto a beautiful grassed area and down to the white sands of Catseye Beach. 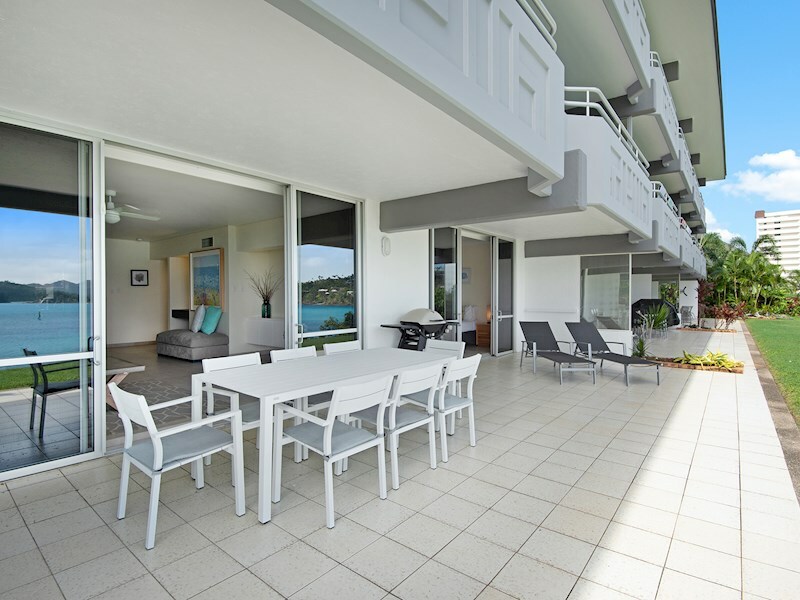 Your balcony includes a BBQ, sun lounges, and an outdoor dining setting for six people. 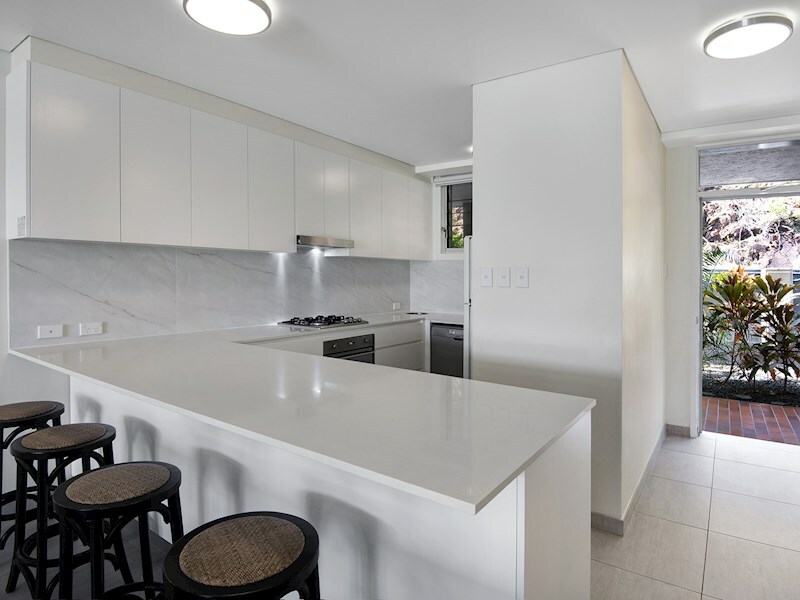 The modern, fully-equipped kitchen makes self-catering a breeze and includes SMEG appliances and Ceaserstone benchtops. 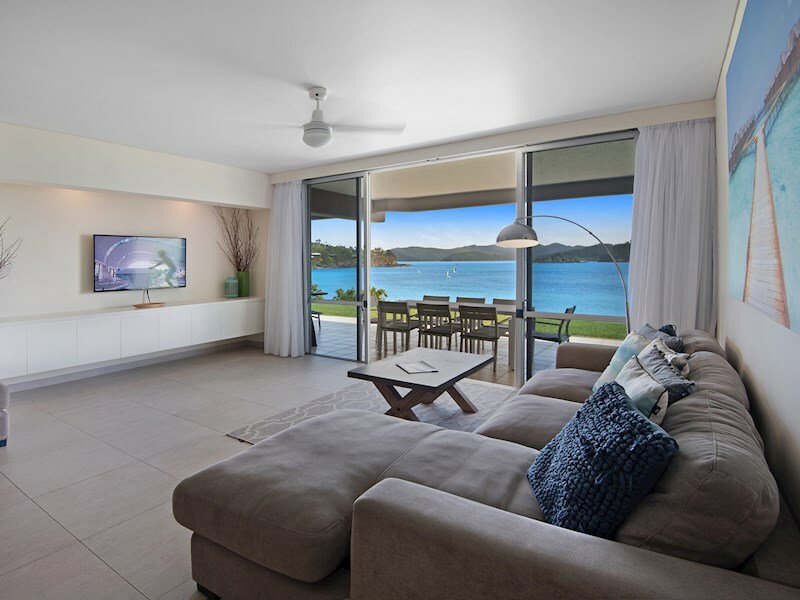 The living area includes a TV with DVD, CD stereo and an iPod docking station. 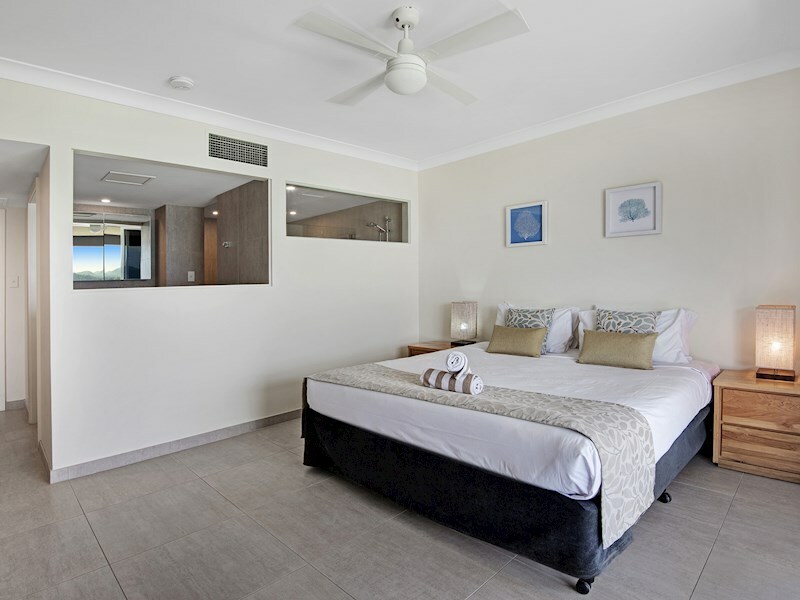 Each bedoom is also equipped with ceiling fans and individual air conditioning units.